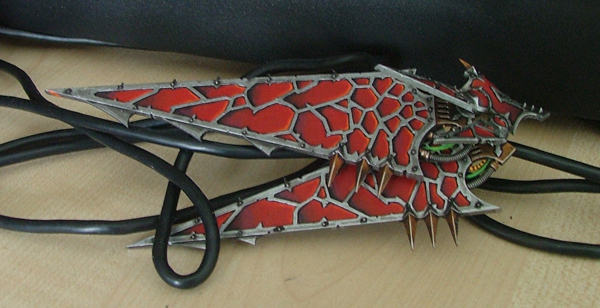 So last night I finished the second wing for my Helldrake. So I sat there, as you do, playing with the miniature as a whole, and seeing how things will sit together once finished. I realised at that point, that this bugger is much bigger than I realised. I have honestly no idea how I am going to store this thing for travelling. Even when it isn’t sat on it’s flying base it’s still a damn big bugger. I think I am going to need a damn big box. 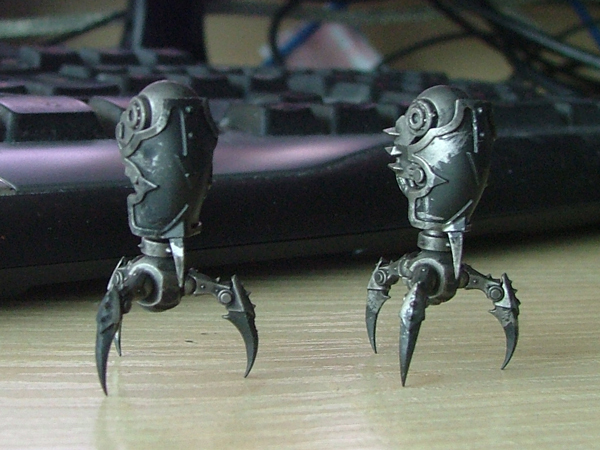 As an aside I started working on the claws. 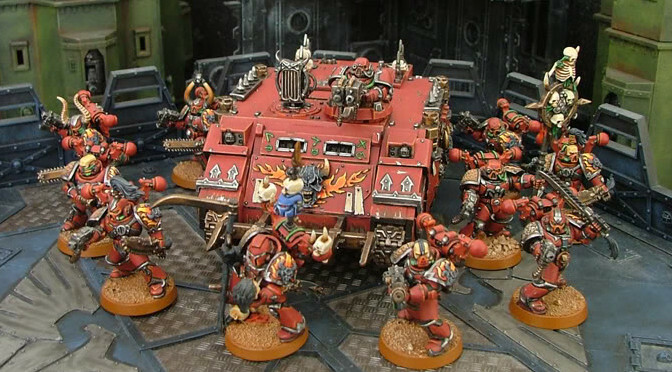 They look like cool little chaos drones or something! Just a quick update. Really difficult to take pictures of this at the moment, but this is the progress so far. Nearly finished the second one too, so should be able to make a start on the neck and head some time this weekend! 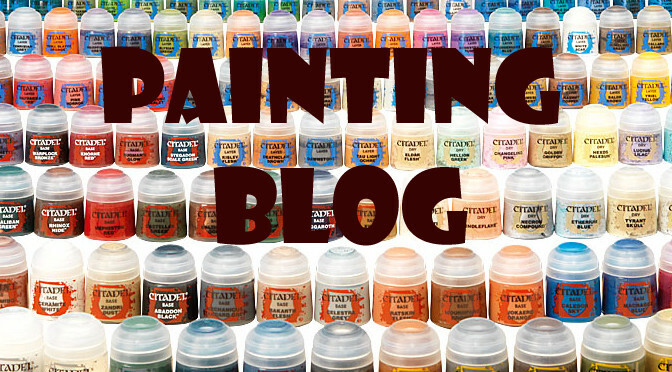 As well as providing hobby news and general articles, I will be using the site as something of a blog for myself. I will never feature the blog as a main article, but I will have it easily accessible for anyone who likes following that sort of thing. You’ll have to forgive the rather poor title image until I can whip something better up! Anyway, its been a while since I did anything like painting. My pc died a week or so ago and ever since then I have been building a new one, and the hobby side of things has had to suffer because of it. Anyway, here is the stuff I am working on at the moment. 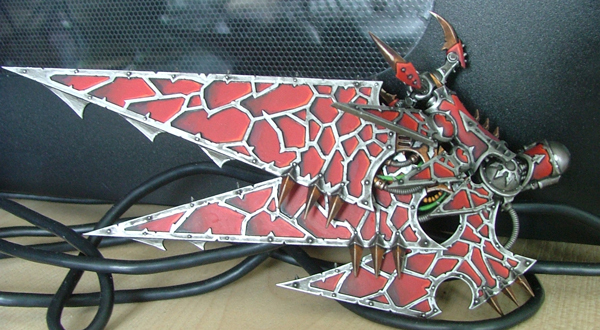 The Heldrake is a pain of a model. All those rivets, all that metal raised areas are enough to drive you a little mad. To top it off I am not particularly happy with how the metal looks on the wings. I tried a new technique out and I am not that happy with it. So I am tempted to go back and do the metal again.